One of the easiest ways for you to make the best of your criminal justice course is to take advantage of all the resources that are available to criminal justice students on the internet. While there are a huge range of websites and blogs to choose from, some of the best are actually run by the U.S. Government. Below are five of the best government resources that criminal justice students can use in their studies. 1. U.S. Department of Justice – The U.S. Department of Justice website is filled with useful information for past and current criminal justice students. From a “Justice 101” primer that is ideal for those who are thinking about going into criminal justice, and want more information, to updated developments in current DOJ cases. They also maintain a strong social media presence, which is a great tool for new criminal justice graduates who are looking to network and, even more helpfully, there is a “careers” that details both the current job opportunities at the DOJ and what working there is like. 2. Bureau of Justice Statistics – Statistical analysis might not sound like the most fun part of a career in criminal justice, but the Bureau of Justice Statistics collects vital information on crime and conducts important studies on the causes of crime. If you are writing a paper based on crime statistics, or need relevant stats to prove a point, then the Bureau of Justice Statistics is the place to go. The information is broken down by crime type, victims, law enforcement, courts, employment and expenditure, making it fantastically easy to sort and access. 3. CrimeSolutions.gov – Crimesolutions.gov evaluate programs that seek to address the causes of crime, rather than simply punishing its perpetrators. Covering areas such as criminal justice, juvenile justice, and crime victim services, this website is a great resource for any research that involves looking to what causes crime, what can be done to prevent it and what programs are currently active in attempting to prevent it. 4. National Criminal Justice Reference Service – The NCJRS was setup to help facilitate programs and research on criminal justice. Their website offers access to publications and a virtual library. For students looking for answers to specific criminal justice questions, the NCJRS site has a Q&A sections where answers are given to general questions on a wide range of topics, such as crime, narcotics, law enforcement and the U.S. criminal justice system. 5. 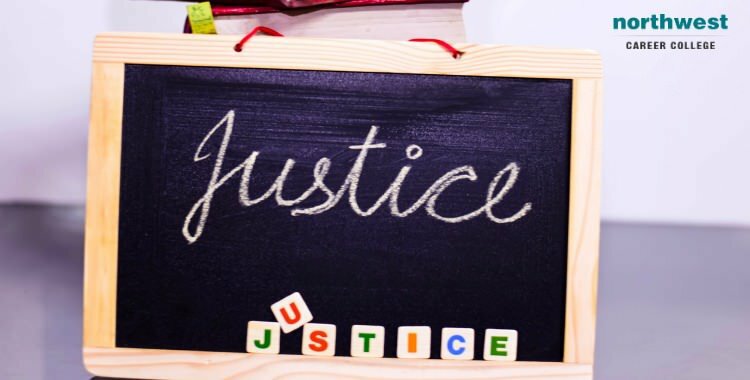 National Institute of Justice – Useful for criminal justice graduates, the NIJ website lists a large number of relevant training courses that can be taken to acquire new skills or brush up on your abilities. The website also offers a huge range of publications on topics such as criminal justice improvement programs and crime data in different areas.